My name is Sarah and I’m the newest member here on Honestly Motherhood. I’m so excited to begin this new journey! First, I wanted to introduce myself a little just so you know who I am…. I love being with my family; they mean the world to me. We all live 2+ hours away, so when we are together it is a sweet time. I enjoy watching movies, crocheting, photography, traveling, serving others, singing in the car, thrifting, watching Downton Abbey and Fixer Upper, missions, different cultures and reading lots and lots of books! I have a passion for children and education and am pursuing a degree in early childhood education. I currently work for the public school system here as an Instructional Assistant in a Multiple Disability classroom. My Mom and Dad, brothers and sister in law. My wonderful family I gained this past June. I currently live in Virginia with my husband, Aric. On June 13, 2015, we got married. It simply was the best day. Aric and I knew each other all throughout college, but it wasn't until five years later that we actually connected as good friends and started dating; 8 months after that, we tied the knot! This past November the Lord blessed us with the amazing news that we were expecting our first child. What a journey it has been. 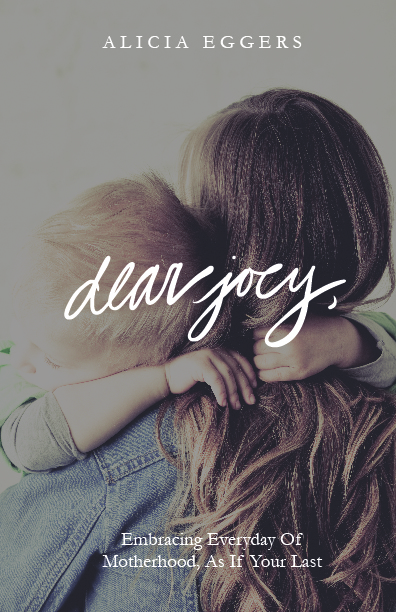 There is nothing….absolutely nothing that has been a greater joy and challenge in my life than this pregnancy. My husband, Aric and I. 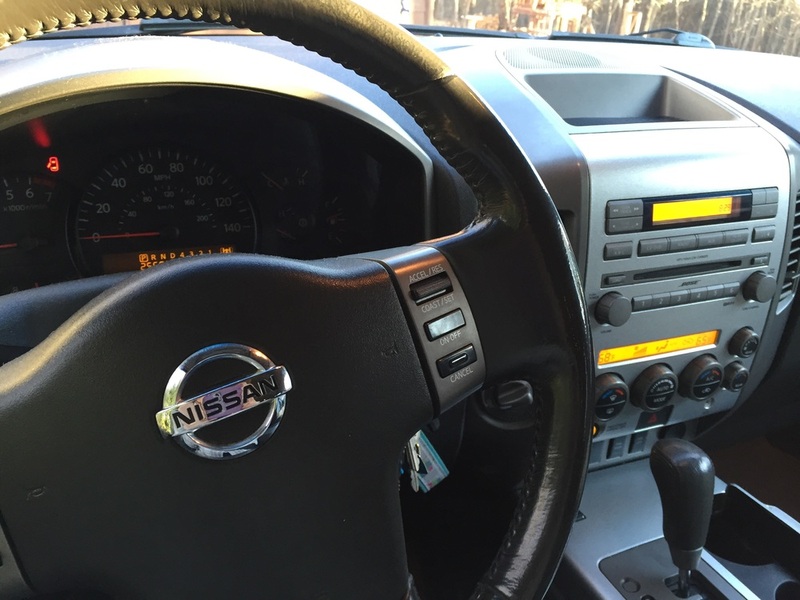 When I first found out I was pregnant back in November I realized how naive I was. I took the pregnancy test one morning super early and saw a positive reading in less than a minute. My heart raced and I couldn't help but wake my sleeping husband at 6 am to tell him the news. Weary eyed, he looked at me smile and realized 10 minutes later what I actually had said and was ecstatic. By that weekend our whole immediate family knew our exciting news and I thought , “Okay..smooth sailing until July, I’ll get this adorable baby bump, cute maternity clothes, start getting baby stuff and this is gonna be a blast!” Sure, some of those things did happen, but I’m sure as most of you moms know, that is simply not what it’s like the entire 9 months of carrying your baby. It was around week 7 that the morning sickness came full force. I always thought, “Hey, morning sickness? I can handle a little nausea in the morning and be just fine for the rest of the day….” Whoever called it morning sickness was a cruel individual. It was all day, every day up until around the 12 week mark. The roughest part was just getting through the work day. My body was exhausted by the end of my 7.5 hour work day and I found myself lying in bed at 5pm and waking up the next morning at 6:30 a.m. in time for another day. The cycle seemed never-ending. On top of that I had major anxiety. Before I found out I was pregnant I struggled with anxiety. Facing this unknown was paralyzing to me. Fears of miscarriage or hurting my baby by the way I slept, what I ate or lack of what I ate haunted me. My body kept changing in ways I didn't understand and I would cry myself into hysteria because I was afraid. Pregnancy was not what I imagined. Worship. That was to be my response. Give thanks to the Lord for his abounding blessing in my life. The nausea meant the baby was well. The anxiety caused me to pray and seek the Lord more. It was a small breakthrough. I love reading the passage Psalm 119:13-14, now that I am expecting. It has a whole new meaning. I tend to be a control freak. This verse shows me that I have no control over my baby. Sure I can pray for my baby, eat healthy, exercise and take my vitamins but I am not the one knitting together the innermost being of my precious little one. It has given me so much comfort in my pregnancy knowing that Christ is the one in control. I can do nothing but rejoice in the fact that the Lord has called me to be this baby’s mom. I feel so blessed. I am now 14 weeks pregnant with our little babe. We got to hear baby’s heartbeat this past week at my last appointment, which is always my favorite thing to hear. Heartburn and headaches are in full swing everyday and taking naps is my absolute favorite thing to do (just ask my husband). I am excited for this journey ahead and to see where and what the Lord is going to do with our family! My love language is quality time and gifts. His is words of affirmation and acts of service. We clearly don't speak the same languages when it comes to love. People who practice love languages often speak of "love tanks". So, the premise is that when those who love you don't show you love the way you receive it (your love language), then your "love tank" will remain empty. An empty love tank can wreak havoc on even the most emotionally stable individual. But should we really only focus on those rare moments when the clouds divide and the sun shines blazing down on us in the form of a well-spoken language? My challenge to you, to mostly myself, is to use this coming year to pay attention to all of the ways that your spouse shows love to you. I found myself only focusing on the fact that my overworked husband spent more time talking on the phone doing service calls than he did speaking to me. I would discredit his love because I didn't want to find it in the water bottle he brought me every night before bed or the way he woke up a little early to get our baby so I could sleep. When you bring me a white mocha and sit next to me at church in the loft. So, this year, I'm purposing to look beyond my love language. To notice and appreciate the love in the thousands of ways it's shown to me. When you warm up my car before we leave without being asked. And I'm taking one photo of that "thing" that "act" everyday. Project:Love (Noticed). We're only six days in to the year and it's already changed me. I've found I'm actively looking for those loving acts and not getting so hung up on if he gave me eye contact while I was rehashing my day. When you buy groceries after you've worked all day. I'm not going to tell him about it and hope to present him with a collage or slideshow of some sort of all 365 ways I noticed his love for me this year. I challenge you to join me in this. If you don't want to take photos, at least purpose to find ways to notice how much your spouse loves you beyond your love language. Don't get stuck there. You may not speak that language they are showing to you, but you can always learn to receive it as exactly what it is: an act of love. Heres to stronger marriages and love understood. If you didn't hear from me much this weekend, there's a good reason for that. We went away, for the first time, as a couple, since we spent two nights away at Myrtle Beach over five years ago. That was when we just had our two boys. Most of you know, we've had a really rough year. 2015 has been the hardest, most challenging, stressful, but most blessed year yet. We had NO idea what a Weekend to Remember was. All we knew was that we were the most loved, grateful couple on the planet to receive such a selfless gift. A weekend away from reality. A weekend to just be us. We didn't see much of Charleston. We've both been a few times before, so it wasn't a total bust to stay in a conference room 90% of the time. In fact, it was LIFE CHANGING. We prayed, we laughed (a LOT), we cried (well, I did), we hugged, we kissed, we were honest, we were stretched, we were reminded, we were taught, we were rebuked, we were both the receivers and givers of grace. It was beautiful. So, if you ever, EVER get the opportunity to do this...to go and change your marriage from mediocre to amazing, DO IT. I wish I could've spent five more days alone practicing all that we learned before diving back into life. That is the only thing I would change. Everything else was amazing. You MUST go to here when you're in Charleston. Seriously. 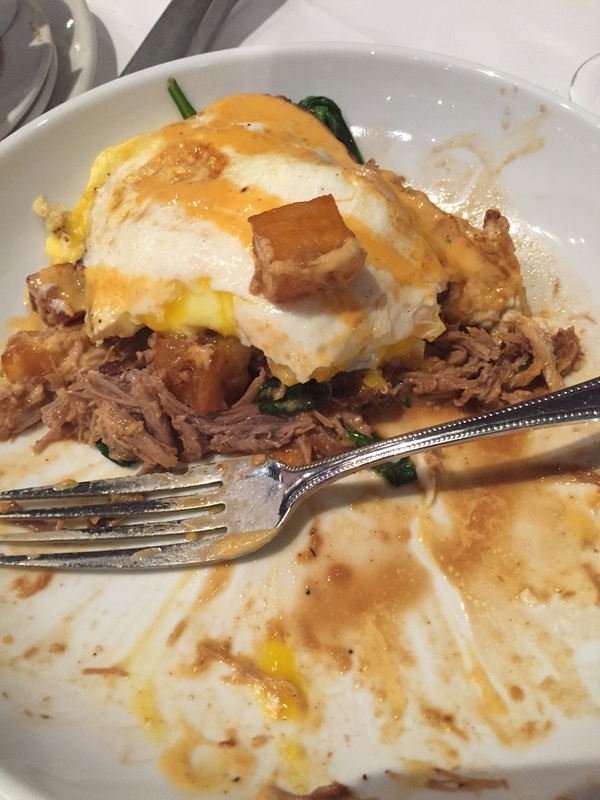 Pulled pork hash is like...well, let's put it this way, it's like my tongue was hugging me after every bite. I'm not kidding. My AMAZING best friend and her never ending sacrificial love on display once again as she watched our children,along with her own four, for most of the weekend. And no, we did NOT ask her to do that. The last bite of the fried green tomatoes. It was hard to say goodbye. We saw the ocean for five seconds, but really, who cares. We were ALONE. I have equal love and hate for this bridge. It's so super cool to drive under, but I hate bridges, let's be honest. This is where we wrote love letters to each other. It was one of the highlights of the weekend. Oh, and we already signed up to be volunteers at the one in our area in June on our eleventh anniversary. Yes, we can't wait.